Dr. Maximo C. Aljibe, Director IV, Regional Director of the Commission on Higher Education–Region 7 (CHED-R7), visited Silliman University March 5. He was welcomed by SU President Betty Cernol-McCann and other SU administrators. 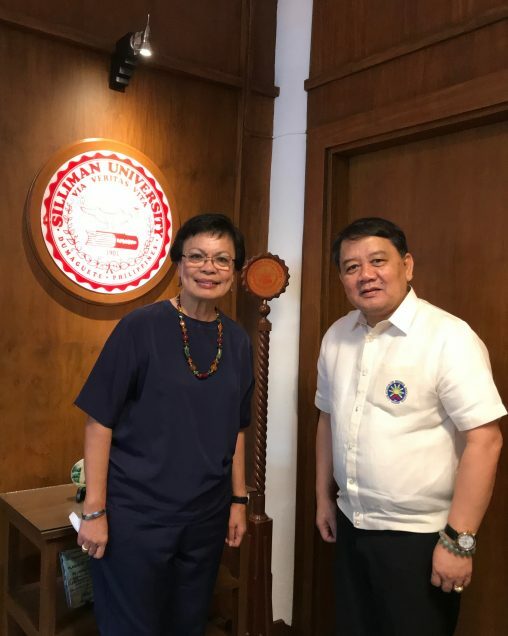 In photo with the CHED regional head are (L-R): Atty. 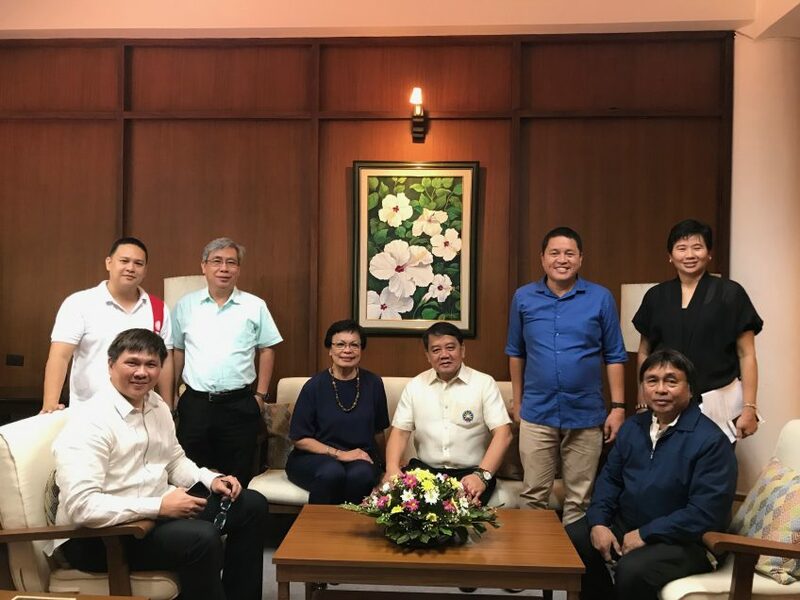 Myles Nicholas Bejar, SU legal counsel; Dr. Giovanni Macahig, registrar and admissions officer; Dr. Jenny Chiu, vice president for finance and administration; Dr. McCann and Dr. Aljibe; Dr. Earl Jude Cleope, vice president for academic affairs; Prof. Jane Annette Belarmino, vice president for development; Dr. Dr. Pedro C. Fudolig, CHED-R7 Chief Education Program Specialist. 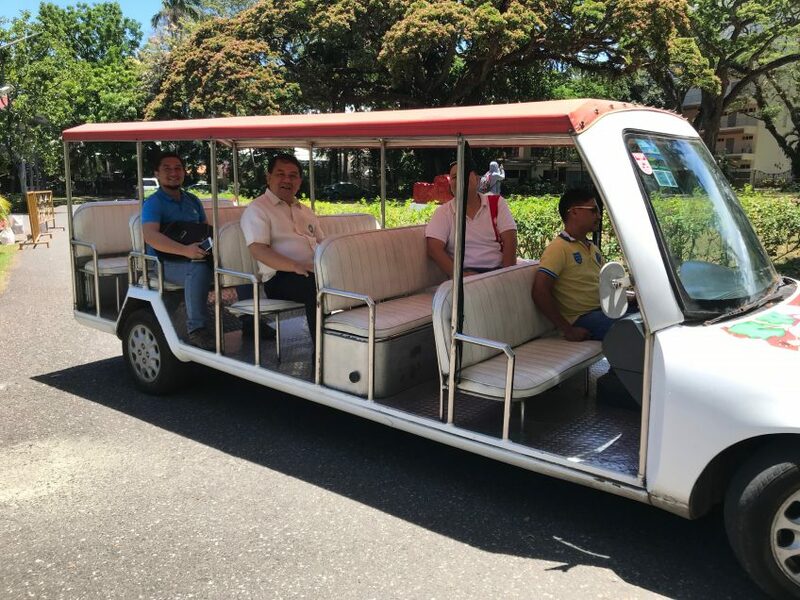 After the welcome meeting at the President’s office, the CHED-R7 regional director was taken on a tour of the campus on the Silliman Cruiser.